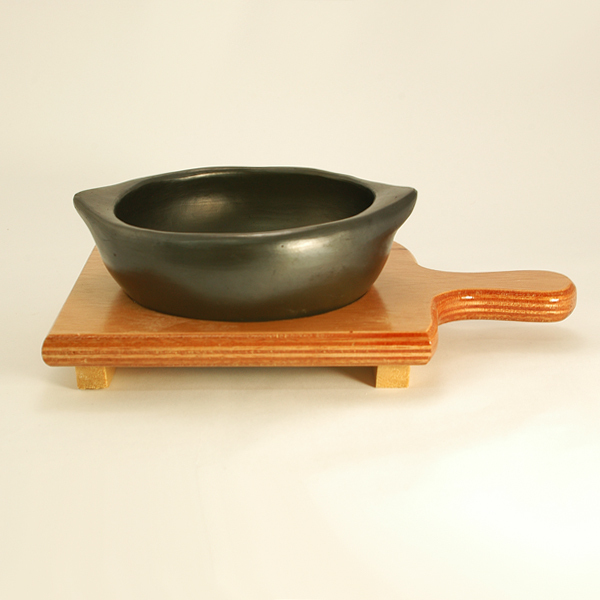 Although the wood stand is coated with a food safe clear coating, it needs special attention in order for them to last. Never soak or submerge the wood stand, or wash in a dishwasher because they will absorb water and can cause them to crack and lose their attractive finish. Keep the stand clean by wiping off with a towel after each use. You can also hand wash the stand with mild soap and warm water, and dry them thoroughly. As with most handmade products by artisans around the world, the pieces may have slight imperfections in the form or finish of the materials. Sometimes sizes of same model pieces may also vary slightly, however, these imperfection do not compromise the aesthetics or functionality of the pieces and are considered normal and to be expected.